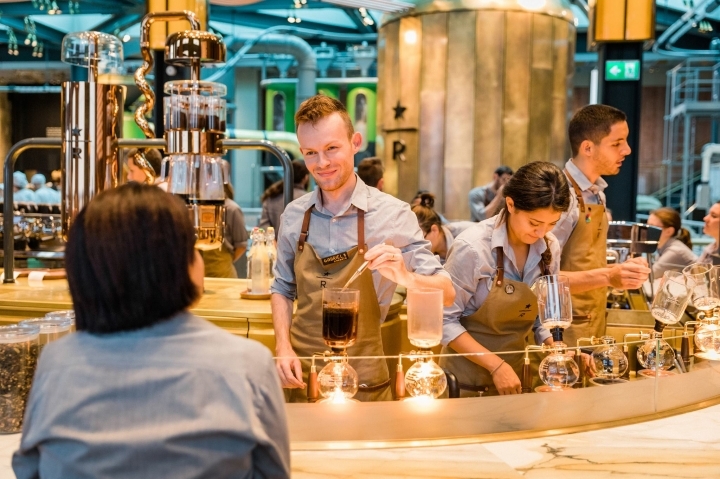 How can the world's largest coffee chain make inroads in a country steeped in coffee culture? 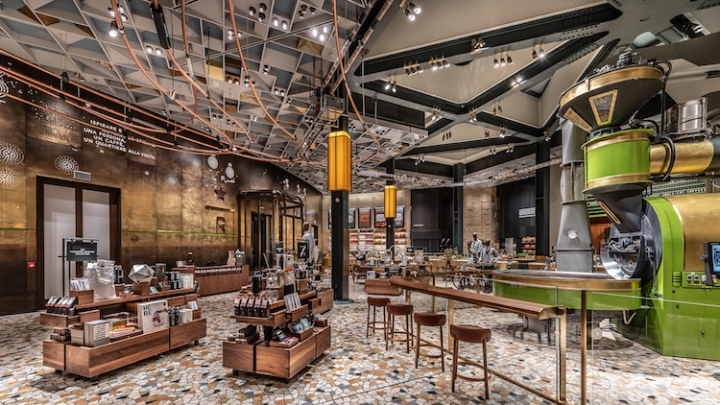 This was Starbucks' task when it decided to open its Milan store, the first in Italy. 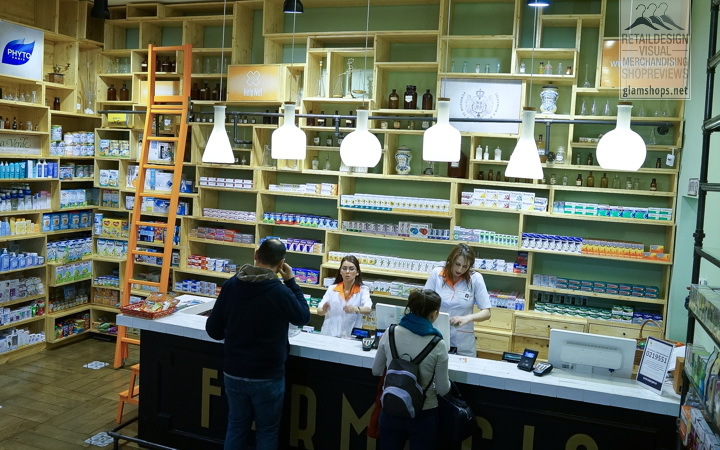 Met with skepticism by many Italians, who revel in the perfect espresso and have deep connections with their local coffee shops, the company had a lot to live up to. 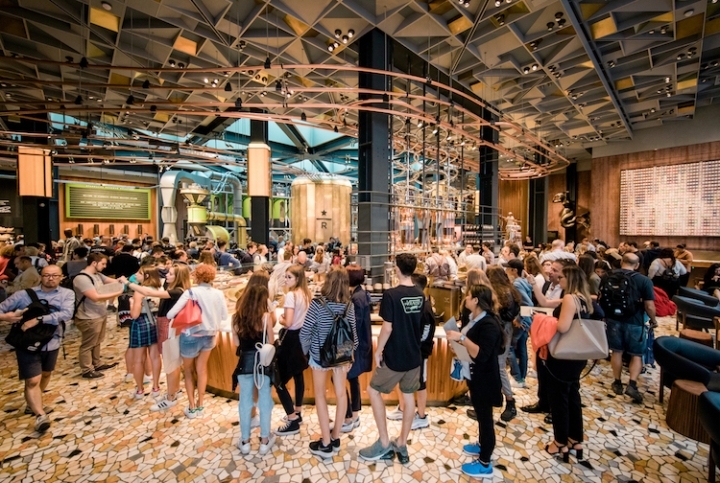 And when the Milan store was revealed, it was clear that Starbucks took the challenge seriously, stepping up their game to create a space that is much more than your average Starbucks. An immediate difference between your neighborhood Starbucks and the one in Milan is the use of stone. 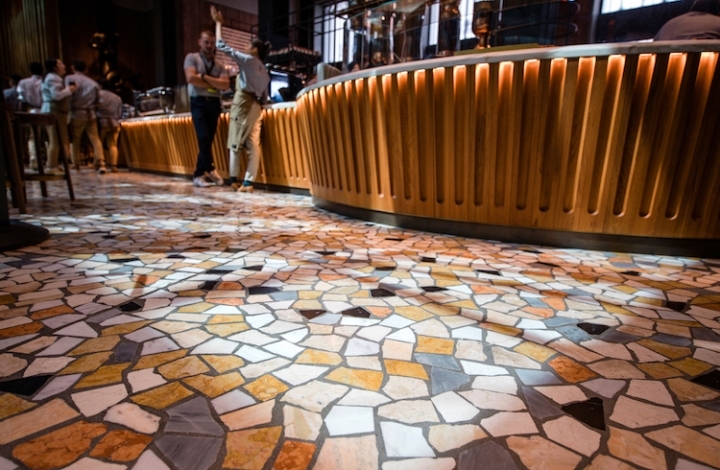 In Italy, most bars have stone countertops and the Milan Starbucks is no exception. 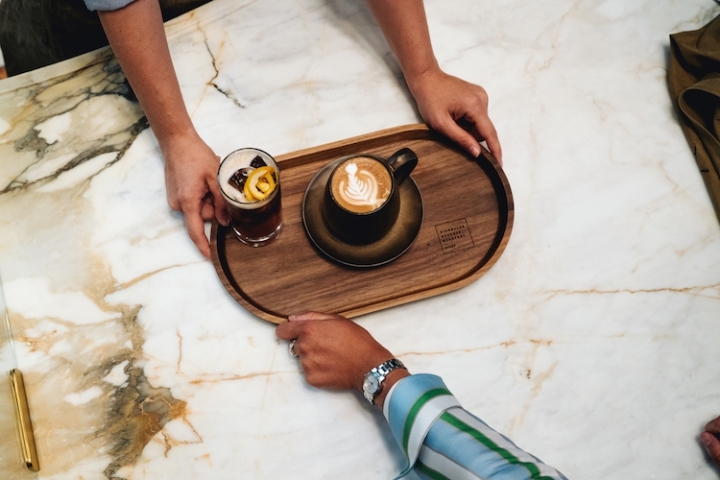 Marble sourced from a respected quarry in Calacatta is used throughout, with the counter warmed a few degrees via a hidden radiant heating system. The flooring is another classical touch. 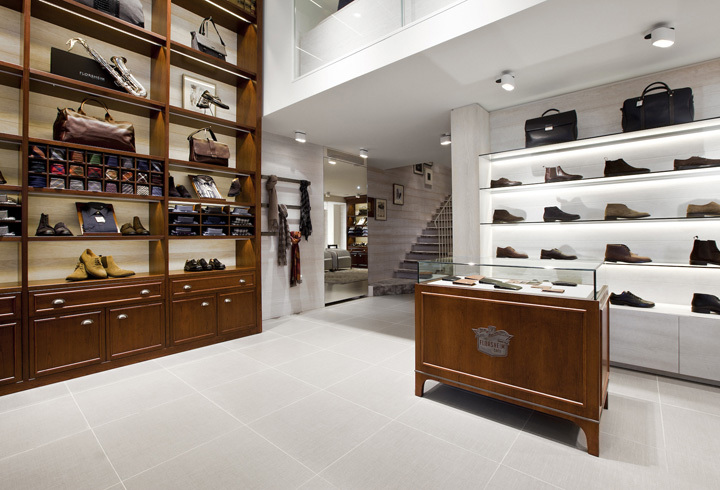 Hand laid by local artisans, the Candoglia marble is placed in a traditional Palladiana flooring pattern. 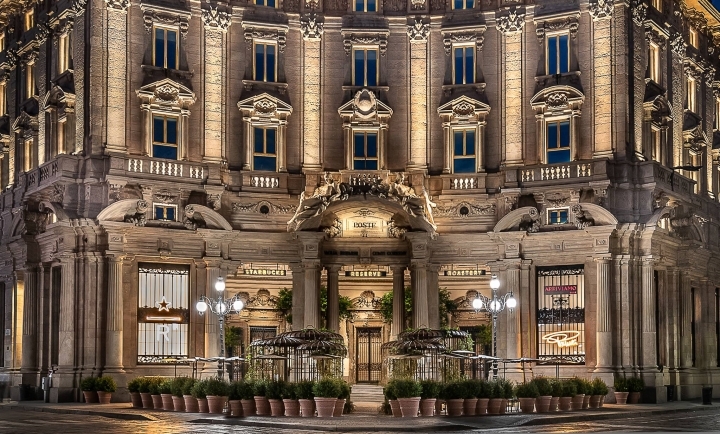 As the store is located just a few streets over from Milan's Duomo, it's only fitting that the marble used on the floor was sourced by the same quarry used for the historic cathedral. 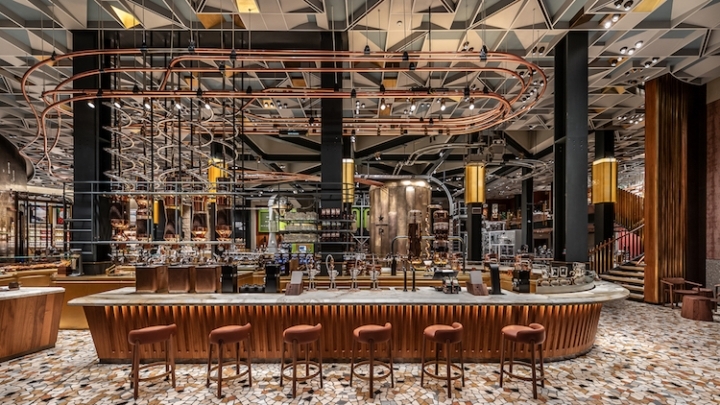 The use of bronze accents and pink stone brings a warmth to the vast space, which has wood accents such as the fluted bar fronts that are a nod to Corinthian columns. 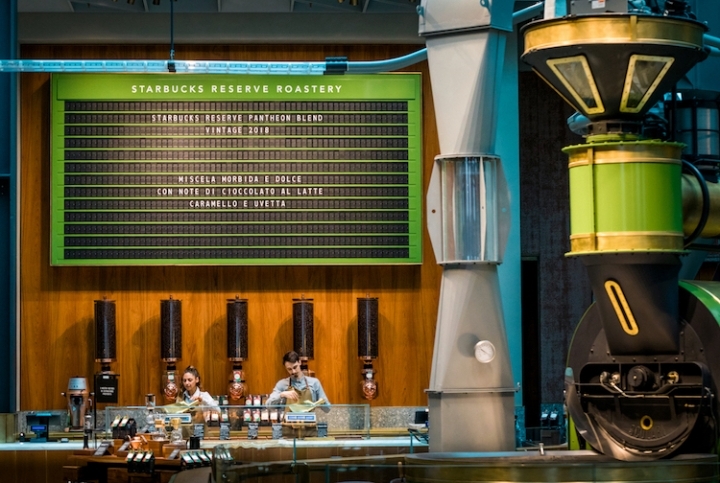 Another focal point of the interior is the roastery, which brings visitors into the art of coffee. 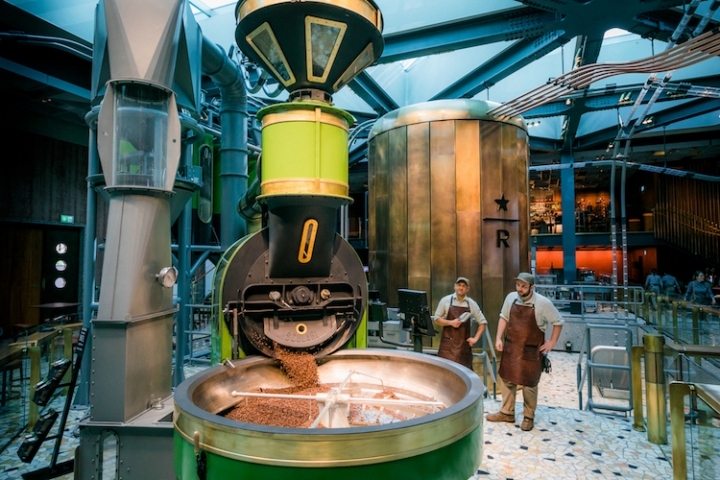 It's only the third Starbucks in the world to have its own reserve roastery, where the family-run Scolari manufacturer will take charge of providing a batch of daily beans. 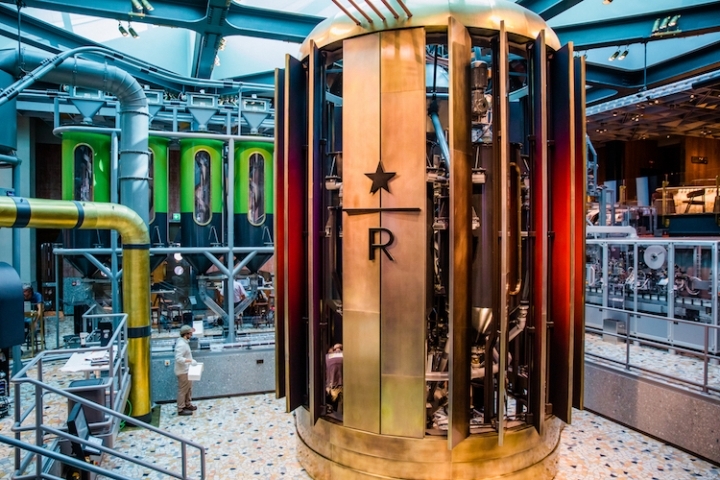 Here, the masterpiece is the 22-foot-tall bronze cask that stands as a sculpture, showing off the de-gassing chamber. 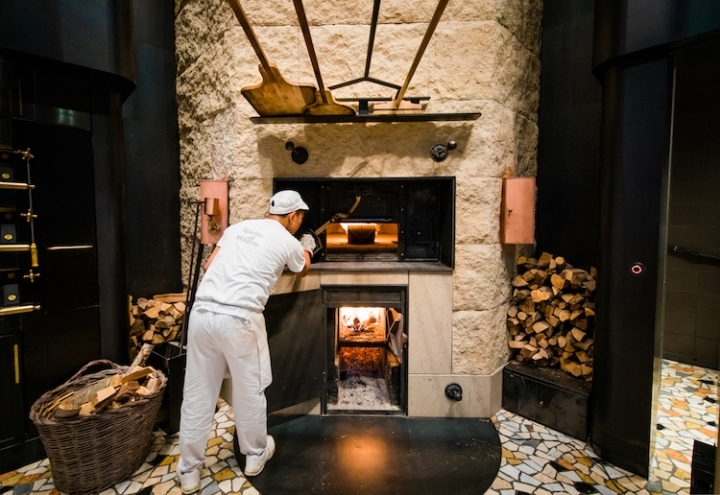 If that weren't enough, renowned baker Princi has partnered with Starbucks to create artisan breads, pizzas, and sweets in an open setting for customers to see. 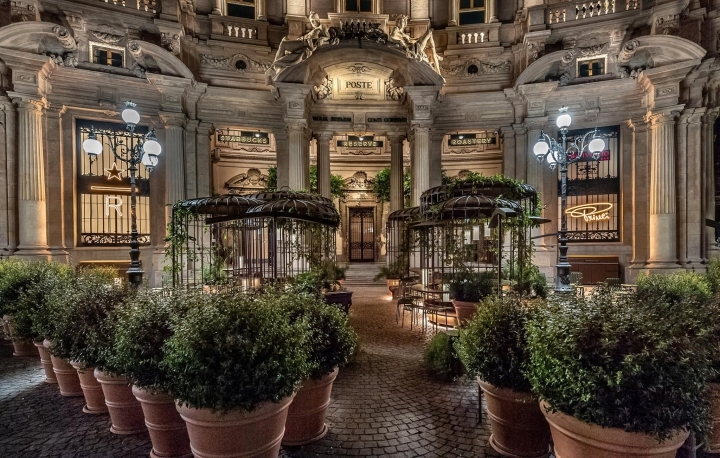 There's even a cocktail bar open in the evening, playing on Italy's aperitivo culture of pre-dinner drinks and nibbles. 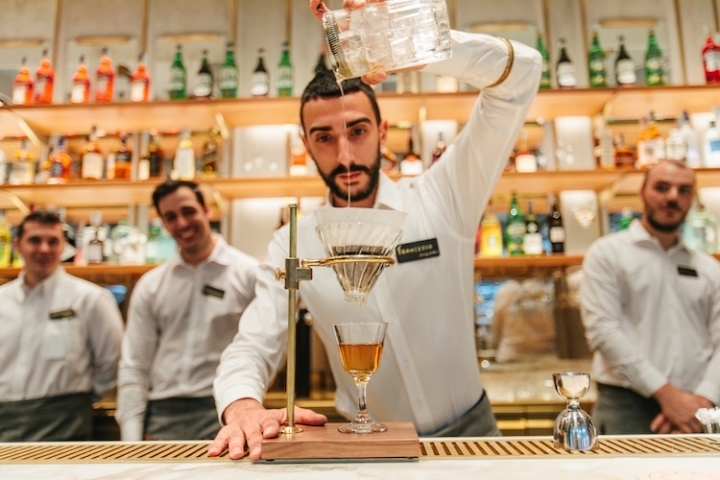 With over 100 ways to drink your coffee, Starbucks is going all in to see if they'll be able to find their way in Italy's coffee scene. The only thing missing is the Frappuccino, which curiously does not make an appearance on the menu. 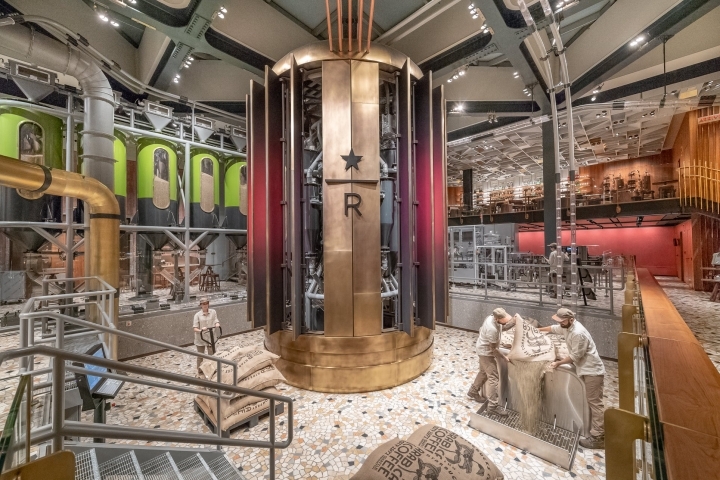 Since opening on September 7, 2018, lines have stretched around the block as people waited to get their sip of Starbucks. 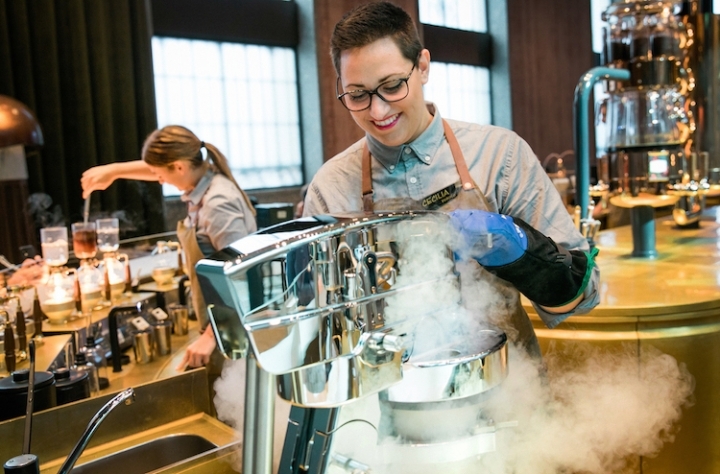 The opening is not without controversy, as many Italians are critical not only of an outsider's ability to make the perfect espresso but the elevated pricing. In a country where a good cappuccino costs about $1.20, will locals be willing to pay a premium for the experience Starbucks is offering? Only time will tell. 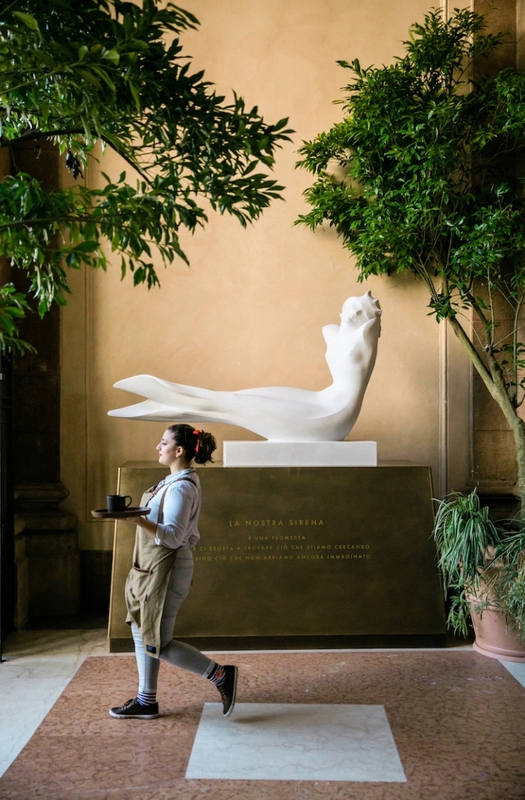 More than a simple coffee shop, the Milan location is also a roastery where customers can see the entire roasting experience.